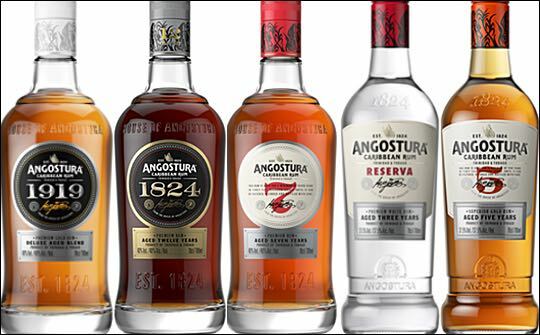 The House of Angostura has repackaged all five of its international rums: Angostura 1824, Angostura 1919, Angostura 7 Year Old, Angostura 5 Year Old, and Angostura Reserva. The new, more premium packaging is intended to place Angostura’s sipping rums in its rightfull position alongside the world’s best whiskies and spirits. The labels for the entire range have been recreated withnew typography that is more streamlined, stylish and evocative of luxury. The iconic butterfly logo of The House of Angostura has been centred at the top of the front label, and two new brand icons have been added — a map of Trinidad and Tobago on the left, and an illustration of a butterfly and molasses on the right. These images tell the distinctive story of the brand: Butterflies have always been associated with Angostura’s rums, and The House of Angostura is home to the Barcant Collection of more than 5,000 butterflies. All the rums are made at Angostura’s distillery in Trinidad using highquality molasses. The back labels will also carry the Authentic Caribbean Rum Marqué issued by the West Indies Rum and Spirits Producers’ Association, which guarantees that the rum is a genuine Caribbean rum. 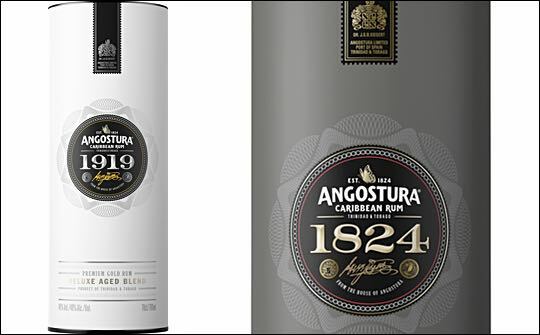 In addition to changes to the labels, Angostura’s three premium rums —1824, 1919, and 7 Year Old — are presented in a new bottle with a thick glass base. Beautifully shaped with rounded curves, the bottles also use a new ‘orchid closure system’ that is easy to open, yet safely secured for the customer’s protection. All five bottles are ergonomically balanced and shaped to facilitate storage and usage at the bar. The signature of Dr. J.G.B. Seigert, the founder of Angostura and the crest of the House of Angostura are also emblazoned on all the bottles. All five rums bear a unique illustration on the bottle closure, called the Spirit of Trinidad and Tobago, which reiterates the brand story through portraits of a dancing woman, sugar cane and Trinidad’s Scarlet Ibis. The top of each bottle closure also bears a map of Trinidad and Tobago. The new presentation cartons abd tube tubes have also been created for gifting.